Vetrix, known as Tron in the Japanese and Italian versions and born Byron Arclight appears as the secondary antagonist during the World Duel Carnival arc. Vetrix was formerly involved with Dr. Faker’s business, and has sworn to take revenge alongside his sons: Trey, Quattro and Quinton. Though his appearance is that of a child younger than the rest of the Vetrix Family, he is their father. He was betrayed by Dr. Faker, who used him and Kazuma Tsukumo as sacrifices to open the door to another dimension. 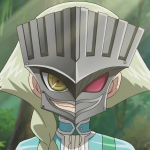 When he returned, his form was mutated into that of a child. Vetrix appears as a young boy with blond hair, which some of it is braided resting over his right shoulder. He is outfitted in light greenish clothing and seems to be as tall as Hart Tenjo. 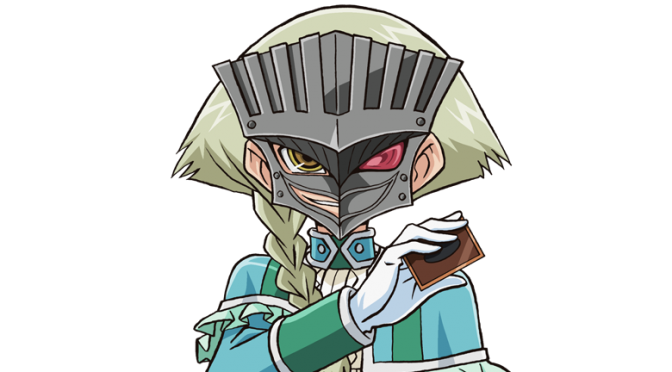 He carries his Deck in a Deck box which is attached to the left side of his belt. 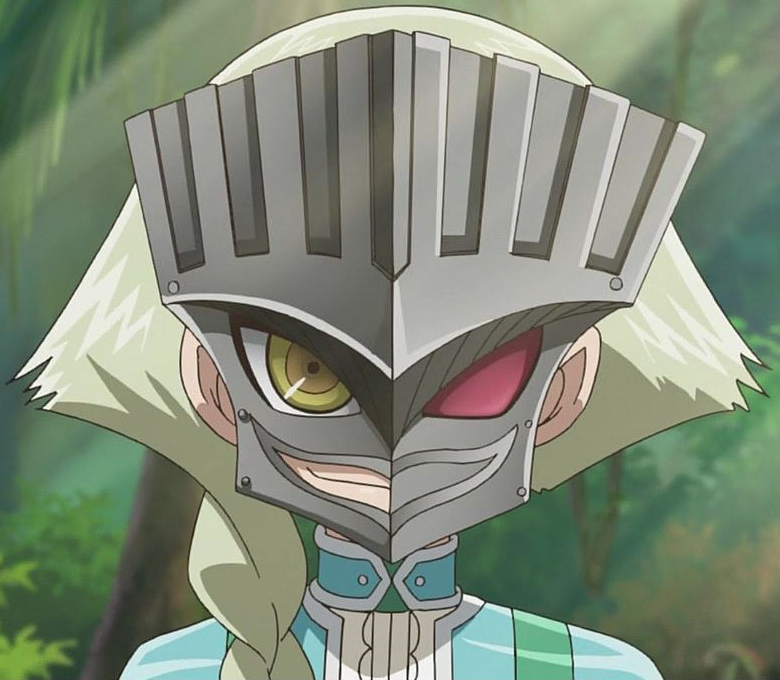 He also wears a metallic crowned mask that reveals parts of his face. Like other members of Vetrix Family, Vetrix also possesses a crest that appears on his right hand. When his powers are at their peak, his crest moves to his forehead. Byron Arclight was first shown to be a calm and gentle person who valued friends and family. He helped Dr. Faker with his research out of respect, despite not knowing what his goals are and allowed his eldest son to help. After falling into the other dimension, he became obsessed with taking revenge against Faker, going as far as hurting others to reach that goal. However, he continues to respect Kazuma and his ability to make friends, but he also notes that it was the reason for his disappearance. As Vetrix, he acts just like a child, enjoying cartoons and playing video games to the point where he bursts out in fits of laughter and acts like a regular child in public events. 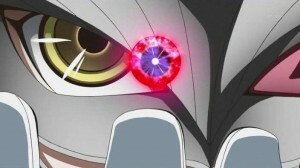 When not watching cartoons or when not in public, his personality is similar to his original, when he is talking to Trey, Quattro, and Quinton showcasing how he is the leader of the group. As he is their father, he is the most respected out of his family. Vetrix also appears to be cruel and merciless like Quattro while Dueling. Vetrix claims that he has no true emotions, even using the rage and hate provided through his sons, Shark and his own opponents to bolster the summoning of “Number 69: Heraldry Crest”, which requires rage and hate to control. Vetrix is granted many powers from the Barian race, including the ability to create Overlay Networks to teleport himself or his sons through his crest. He can also transfer some of his power to another and increase their abilities. After Vetrix enhanced his own powers by taking most of Hart Tenjo’s Barian power, he demonstrates his newly acquired power by channeling it into a small, but expanding destructive ball of energy. 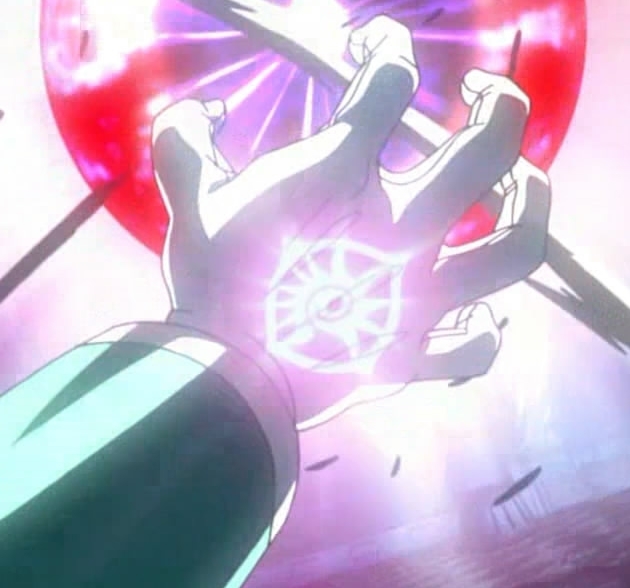 He can also see Astral and communicate with him due to the power he managed to extract from Hart. Vetrix is capable of manipulating the augmented reality system with his Barian powers. He is also able to manipulate the memories of others, with which he can either steal from those he defeats or even modify other’s memories. 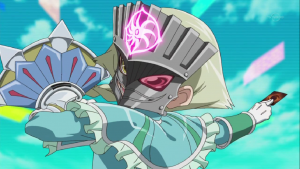 He was also shown to be able to utilize the Duel Anchor like his sons, although his is a much darker shade and is wrapped in a dark aura. He is also capable of absorbing “Numbers” after defeating his opponents. 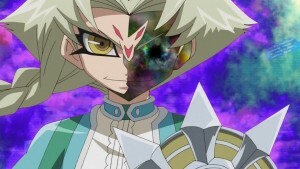 Vetrix can envelop himself in red light, identical to that of Yuma before he merges with Astral using ZEXAL. This enables him to travel quickly. Vetrix acquired “Number 8: Heraldic King Genom-Heritage” and “Number 69: Heraldry Crest”. The latter monster is his most powerful and could only be called forth by intensifying negative emotions in others, which Vetrix achieved through the manipulations of his sons and their targets. Vetrix also owned “Number 6: Chronomaly Atlandis”, which he gave to Trey alongside “Final Prophecy” to use against Yuma Tsukumo. 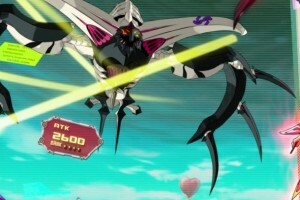 After defeating Kite Tenjo, Vetrix acquired all of his “Numbers”, among them “Number 10: Ilumiknight”, “Number 20: Giga-Brilliant”, “Number 30: Acid Golem of Destruction”, “Number 56: Gold Rat” and “Number 9: Dyson Sphere”. He also took Quattro’s “Numbers” from him after that son’s loss to Reginald Kastle. These included “Number 15: Gimmick Puppet Giant Grinder”, “Number 40: Gimmick Puppet of Strings” and “Number 88: Gimmick Puppet of Leo”. 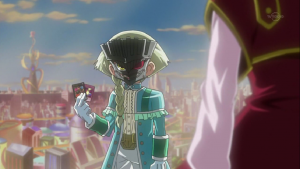 He himself lost all of these to Dr. Faker’s Sphere Field after losing to Yuma and all of the cards were eventually obtained by Yuma. 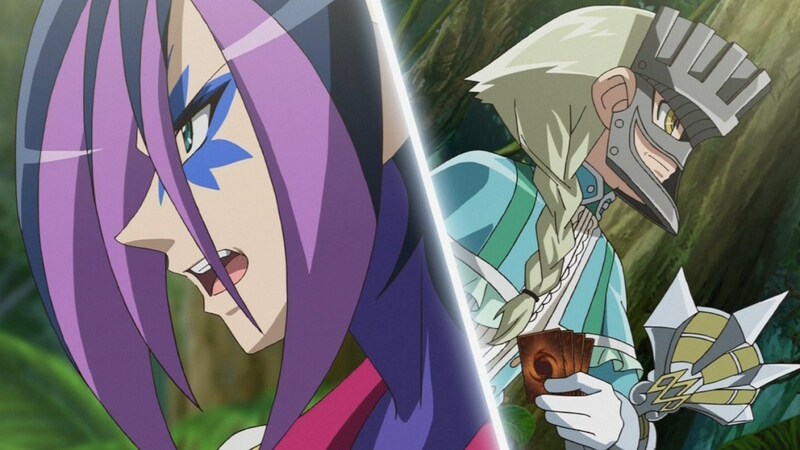 Vetrix plays a “Heraldic” Deck, composed of cards focused on control and manipulation, including the “Heraldic Beasts” and a line-up of “Heraldry” Spell/Trap Cards. 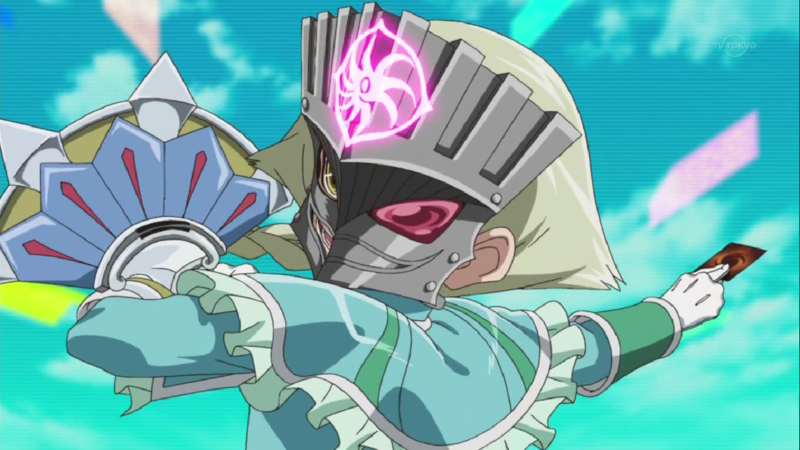 His main strategy involves swarm tactics through cards such as “Heraldic Beast Eale” and “Heraldry Reborn” so he can easily Xyz Summon his “Number” monsters. Several of his “Heraldic Beasts” also generate card advantages by banishing themselves from his Graveyard.